How much does YouTube pay for views? How can you start making money on YouTube? Just like every online platform, YouTube, as a way of earning money, has its pros and cons. Creativity. YouTube is a creative outlet, which allows you to unleash your imagination and voice your opinion. Thus, you can make a substantial income on the things you are really interested in. You can be your own boss. YouTube is a platform that allows you to work whenever and wherever you want. You don’t have to get up early and spend several hours a day in rush-hour traffic trying to get to work. Independence. Your content choice or the frequency of your video uploads is not limited by anyone. Certainly, there are YouTube Community Guidelines which provide some common-sense rules you should follow. All videos uploaded on YouTube are closely monitored for inappropriate content, so make sure you heed these guidelines to steer clear of trouble. Multiple revenue-generating opportunities. YouTube allows you to utilize more than one way of making money. Networking. YouTube gives you a benefit beyond revenue. It allows you to establish good rapport with people from all over the world interested in the same topic and driven by the same passion. Don’t expect an immediate return of your time and effort. Creating an established YouTube channel is pretty painstaking and time-consuming. Haters are the darker side of getting popular on YouTube. Though the experience of communicating with such people can be off-putting, don’t let them discourage you. In general, the rule of thumb is $2 to $4 per 1,000 views. But, if you expect the exact number, such as $1,000 per 1,000,000 views, you wouldn’t find this in our article. YouTube doesn’t pay the same amount for every person. Below, we described in detail why, and gave tips on how to predict income volume. You may wonder how much you can get paid from YouTube for your video views. The question is incorrect, as the amount of money you earn doesn’t depend on the view count of your channel, it depends on the monetization methods and also the advertising revenue connected with the number of ad clicks, popularity of your channel and niche. 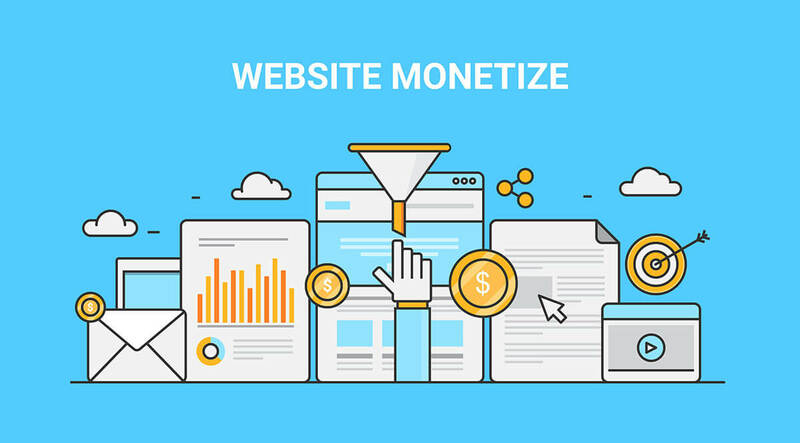 Though the most important factor influencing your profit is the popularity of your channel, there are many other factors that affect your income, such as the percentage of ad-skipping, the quality of ads, keywords and video topics, video length and even Ad Blockers, used by the audience. As we have already mentioned, the revenue vloggers generate from YouTube depends on many factors and can fluctuate greatly. It’s evident that YouTube newbies are not likely to start earning well into six figures immediately. As for more popular vloggers, on average, they net a profit of $750-$1,500 a month from their channels. However, top YouTubers generate a more impressive income. So, how much can a top YouTuber earn? Let’s have a look at some examples. The perennial YouTube top-earner is PewDiePie (the Swedish gamer Felix Kjellberg). The vlogger is famous for his insightful and humorous comments and communication with the audience. He generates from $49,000 to $800,000 monthly. 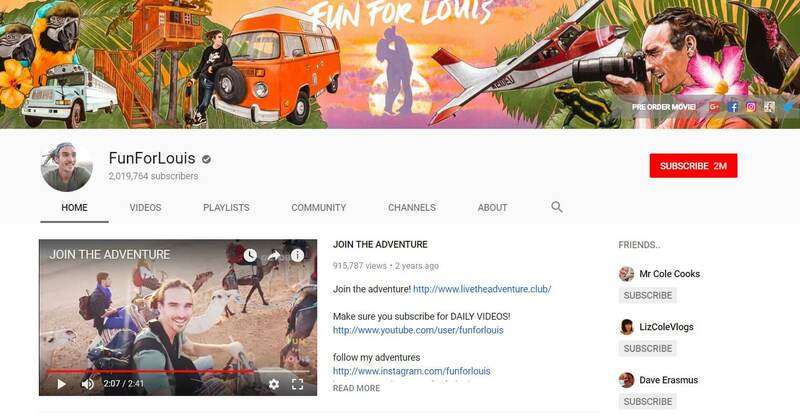 The prime example of a well-to-do vlogger in the travel niche is Louis Cole, the creator of Fun for Louis channel. This UK travel vlogger inspires his audience to live the adventure and manages to make an estimated monthly profit of $8,778.00 — $9,240.00 from it. Here are some things that can influence your earning potential on YouTube. Your channel content. You should choose a niche you are interested in and fill your channel with related content. Your videos should be unique, top-quality and really valuable for your audience. You can’t afford to be second-best if you want to make a substantial income on YouTube. The number of videos on your channel. The more videos you have, the better. However, this doesn’t mean that you should commit yourself to a once-a day-upload schedule. Setting a schedule which is too busy may lead to emotional burnout, as well as poor video quality. Savvy advertising. Combining various advertising techniques on your channel can prove productive for getting massive revenue on YouTube. Collaboration with other vloggers. Don’t overlook the importance of networking well with your fellow vloggers. Making videos with them can help you to drive more hits to your videos and increase traffic influx to your channel, thus increasing your income. Moreover, it is extremely helpful for establishing your name in the niche you’ve chosen. The language of your videos. The more people watch your videos, the better. Besides, the fee per click is higher on the English-speaking YouTube. So, choose English as the language of choice for your videos. Affiliate programs. You shouldn’t concentrate on the YouTube partner program only. Do your best to explore other revenue streams. The internet is swarming various affiliate programs with which you can leverage to earn a healthy income on YouTube. We’ve already mentioned that the YouTube Partner program is just one of the numerous ways to generate a healthy revenue, so it doesn’t actually matter how much YouTube pays you for every set of 1,000 views. That is why we’ve prepared a guide on how to make money on YouTube utilizing various monetization methods. You’ve created a YouTube channel, and have dedicated a lot of time and effort to it. You’ve drawn in a loyal audience and believe it’s high time that the channel started bringing in some money. What should you start with? The question is a no-brainer, as YouTube provides you with a near-effortless way to generate some income – AdSense. AdSense is a free service that allows you to monetize your YouTube channel and takes only a few minutes to activate. Thanks to this service you can run ads on your YouTube videos, and get paid when visitors click on them. So, the answer to the perennial question “how much does YouTube pay per 1,000 views” will be nothing. YouTube doesn’t pay you for video views; you get paid for the advertisements viewed or the number of clicks your visitors make on the ads. Actually, it’s also impossible to calculate how much YouTube pays for the views of ads. 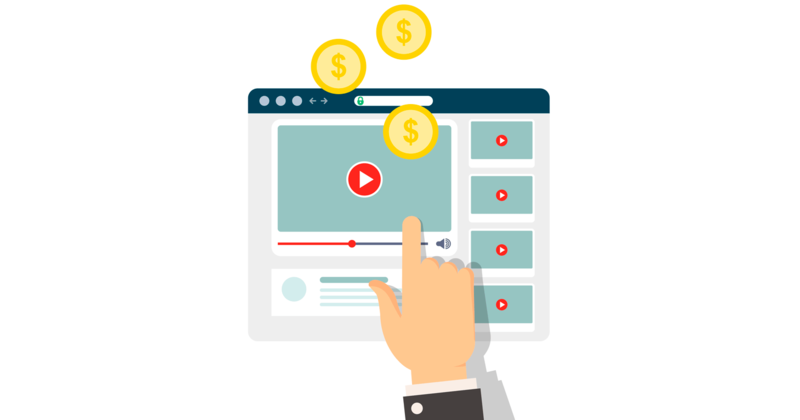 On average, people earn $2 per every set of 1,000 ad views, but the sum may differ considerably depending on the niche and audience of a channel. AdSense is not the only, and far from being the most, lucrative revenue stream on YouTube. But, if AdSense is not a get-rich-quick scheme, what’s the secret? How do YouTube vloggers earn on their channels? One of the best revenue-generating opportunities is affiliate marketing. YouTube affiliate marketing is the creation of video content and the placement of affiliate links in the actual videos or in video descriptions in order to redirect traffic to an affiliate landing page. 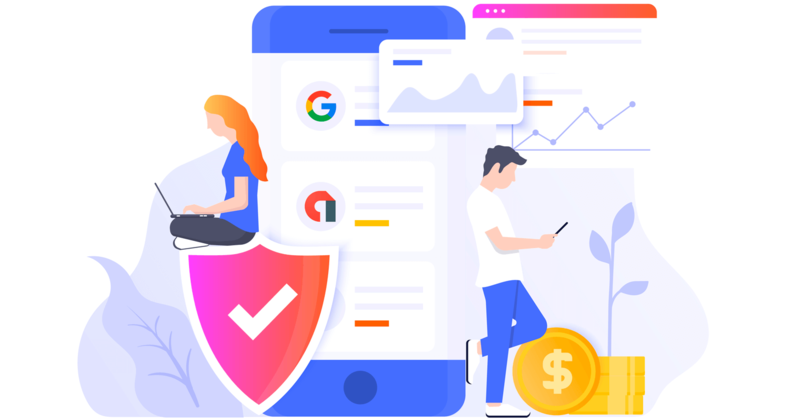 Affiliate programs can either pay you for the number of visitors referred to a merchant’s site (they are called pay-per-click – PPC – affiliate programs) or for the actions performed, such as the purchase of a product (Cost-per-action – CPA affiliate programs). The second type is more profitable as commissions may range up to 20% of the product price. Travelpayouts belongs to the second type, and you can find the complete list of rates and offers here. Though the travel niche is less profitable than gaming or dating, for example,, there is still a lot of earning potential in it. 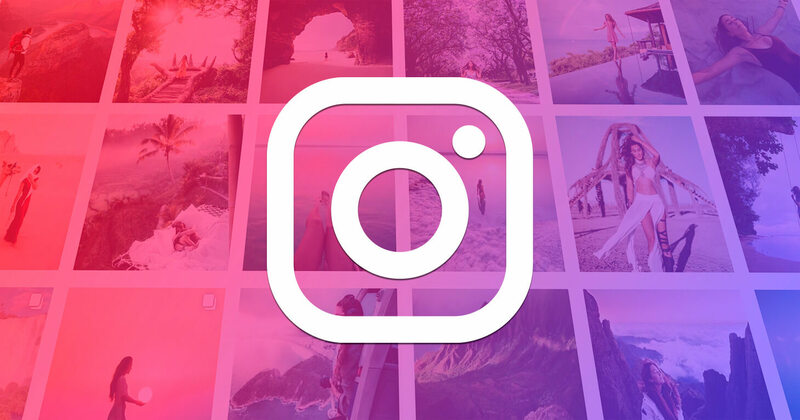 Despite the fact that a travel blog is quite difficult to promote, it may turn out to be a gold mine for its owners if dealt with effectively. “Migrationology” is an example of a successful YouTube channel in the travel niche which allows its owner Mark Wiens to cash in on his passion – travelling. Our full list of top travel YouTubers can be found here. Moreover, if you want to find some more tips on how to make money on YouTube monetizing affiliate programs including Travelpayouts, read this article. YouTube is a platform that is extremely appealing to advertisers, not only in terms of classical commercials, but also in terms of product placement and endorsement. What do these terms mean? Endorsements are pieces of content created for an advertiser or marketer that are unobtrusive and consequently, viewers are likely to believe that they reflect the beliefs, opinions or experiences of the creator. As for product placement on YouTube, it presupposes that a product or a service is integrated into the video content in an authentic way and provides some kind of value for the viewers. These techniques are highly effective as they allow leveraging the strong personal bond that connects established YouTubers with their audience. Moreover, such videos seem realistic. However, these techniques are ethically controversial, as many people consider them deceitful. So, as a YouTuber, you should always provide some kind of disclosure and advertise only the products and services you’ve tested and liked. Patreon is a platform where you can offer to do something for the audience in exchange for payment. For travel vloggers, it’s common to send postcards from the countries they are traveling to and they’ll get anywhere from $10-$15 per month from each donor for doing so. If your channel is popular, this donation system can generate a good income. You may be surprised but you can start generating revenue from YouTube even without a channel by watching videos, liking and disliking them and leaving comments. Get registered on sites such as likesrock.com, etc. You can earn anywhere from $0.02 per video watched and up to $ 0.80 per commentary. Sure, this is not a get-rich-quick scheme, but if you are starting your internet career from scratch, this may be a great way for you to begin. This strategy won’t only provide you with you some income, but will also help you to understand the logic of YouTube promotion. If you are just starting out on YouTube, it can be quite challenging, as the platform is extremely competitive. However, there are enormous rewards to be reaped if you deal with YouTube efficiently. Here are some valuable tips and tricks on how to start netting a profit on YouTube. You must have heard numerous stories of high-profile YouTubers earning over six figures on their YouTube channel and you’re eager to become one of them. You might have also had the impression that earning money on YouTube is a piece of cake and there are various near-effortless ways to do this. However, despite the fact that there are countless revenue-generating opportunities on YouTube, not everyone will rake in the money generated from the platform. The platform is swarming with vloggers trying to get some income, so your view count and revenue can be considerably different from what you might have expected. To become another self-made YouTube millionaire, you’ll have to put in your time, effort and dedication promoting your channel and attracting subscribers. If you want to get your blog off the ground, it’s essential to build a strong subscriber base. But, how can you increase your subscriber count? Ask for it. Give your audience an incentive to subscribe by asking them to click the “Subscribe” button and promising some perks like a free e-book or video tutorial. Promote your channel in relevant online communities. Make sure you are not too obtrusive while doing it. You should establish your name by leaving insightful comments or providing the audience with valuable information in your niche. Optimize your YouTube channel for search. See to it that your channel ranks high in search engine results. Add a YouTube widget to your blog. If you have a blog, leverage it to attract new subscribers to your channel. Make use of the featured channels list. Ask fellow bloggers in your niche to add your channel to their featured channel list and do the same in return. This will help you to scoop up new subscribers and make connections in the blogging community. We’ve prepared some tips that will help you to start off on the right foot when creating and promoting your YouTube channel. Be consistent. Commit yourself to a rational schedule and make sure you follow it. Don’t let negative comments and haters discourage you. You’ll have to learn how to deal with the negative things in a constructive way. Never fight back with your audience as it will destroy your reputation. Become part of the community. Leave insightful comments, share your experience, and contribute to the discussion on other relevant channels in your niche as this will attract a larger audience to your channel. Interact with your audience. Answering peoples’ questions and responding to their comments is crucial for gaining an audience foothold. Pay attention to other videos. Learn from others. See what makes their videos so good, what gimmicks and techniques they apply. Create a content plan. Having a plan will help you keep up with your goals. Create engaging and compelling content. Pay special attention to the content of your channel from the very beginning, as this is essential for your subsequent income opportunities. Be a ruthless editor. Your videos should be precise and on point, so don’t hesitate to cut off all the excessive chatter. Persevere and stay optimistic. Your attitude and charisma will be what makes your audience want to return to your content. To conclude, thousands of people are striving to become new, self-made YouTube millionaires, so the platform has become highly competitive and requires a lot of time and effort invested. Unfortunately, there is no shortcut to making good money on YouTube nowadays. The good news is that YouTube offers various revenue-generating opportunities and there is a low bar set to get started. Thus, if you work hard, create unique and high-quality content, and combine all the strategies and monetization methods we’ve listed, your YouTube channel will eventually catch on and bring attention to you.